Elude’s passion, creativity, and enthusiasm really shines through in the Perpetual Motion room. 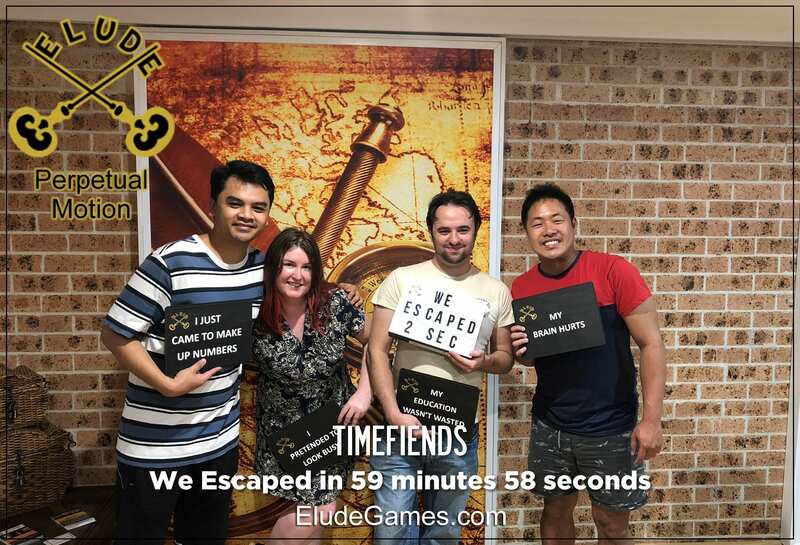 They definitely managed to throw a couple of neat surprises in there that I’d never seen done at an escape room before. You need to go check out this room, whether you’re an enthusiast or a casual escape room fan! Lovely hosts too, it was so cool sitting down and chatting about what they’re working on and how they got here.